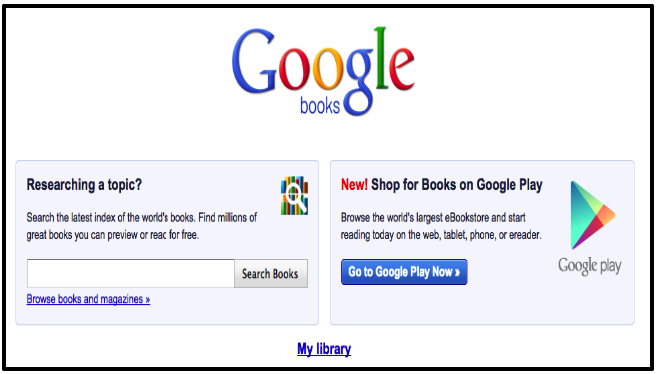 Google Books is a powerful book search platform that allows users to search for books and text inside books. Google Books provides several interesting features. “My Library” for instance enable you to bookmark and save your favourite books. Users can also search for key words and phrases from within the book, clip a portion of the text and share it, and download the book in different formats : PDF, EPUB, and in plain text. Google Books has recently released a new feature that let you search for magazine content on Google Book search.It has also created reference pages for every book so you can quickly find all kinds of relevant information such as book reviews, web references, maps and many more. To help you better understand how to use Google Books, I compiled these guides from Google Books Help page and arranged them in such a way that you can easily access them from one single page. These guides cover the different features and functionalities provided by Google Books, clicking on any of the titles below will direct you to the corresponding page where you will read more on it. How can I find books through Library Catalog search? Which PDF viewers do you support? What is Library Catalog search? What is a public domain work? Does scanning comply with copyright law? How do you determine if a book is in the public domain and therefore out of copyright? How can I reuse public domain works?